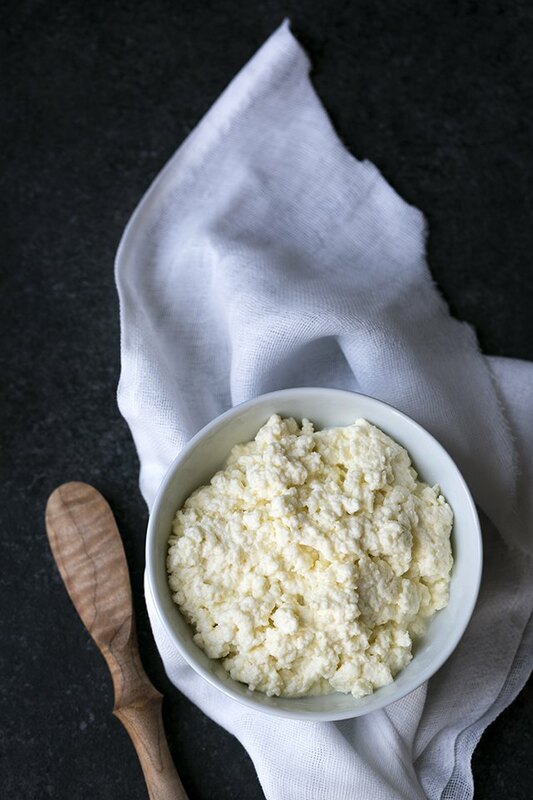 Homemade ricotta cheese is much different than what you'll find at the store, and it's surprisingly easy to prepare at home! I often hear people say that they don't care for the texture of ricotta, and I can pretty much guarantee they're referring to the mass produced versions, which can be grainy and flavorless. Homemade ricotta is delicate, milky, slightly salty, and comes together in less than 30 minutes. It's perfect for both sweet and savory applications. While whole milk is suggested in the ingredient list, you can increase or decrease the richness a bit depending on the desired outcome. This recipe will work with 2% milk in place of whole milk for a less rich ricotta. Or, for a bit more decadence, try swapping out 1 to 2 cups of whole milk with heavy cream. However, in both instances, make sure to use dairy that is not ultra-pasteurized or UHT. 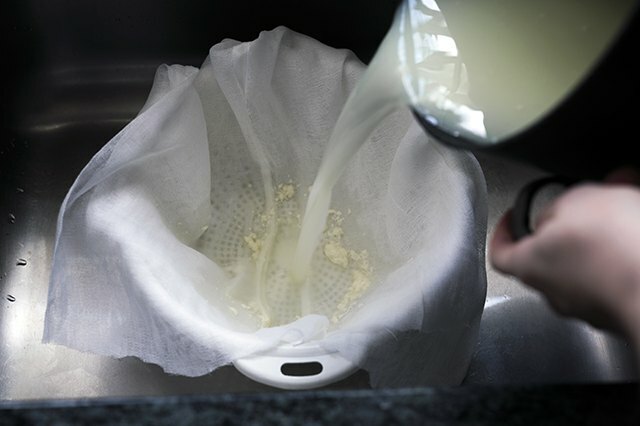 You always want to use the freshest milk possible for the best tasting cheese. 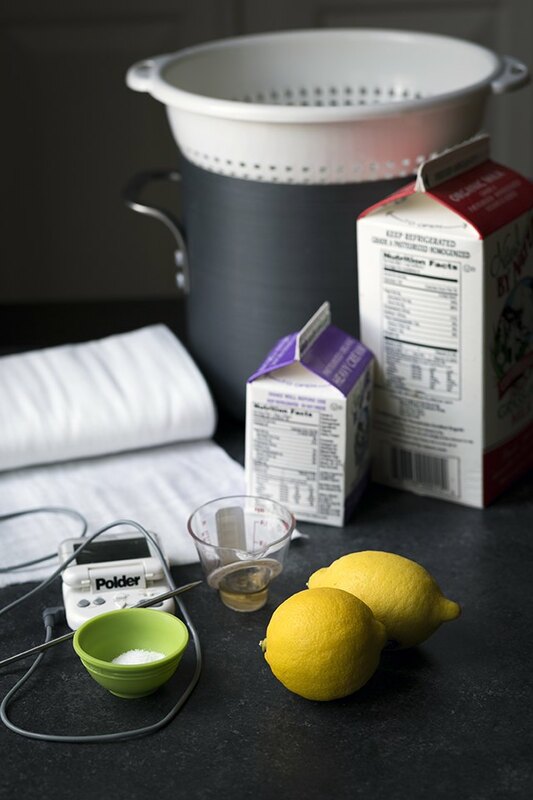 However, this recipe will not work if the milk has been ultra-pasteurized or ultra-heat-treated (UHT). Unfortunately, most organic milks are ultra-pasteurized, so be sure to check the labels. Even more importantly, check the sell-by date. Dairies are not legally required to label their products as ultra-pasteurized or UHT. Be suspicious of anything with a sell-by date past 2 weeks. There are also online resources for seeking out good milk. Line a colander with a double layer of cheesecloth and place in the sink. Combine the vinegar and lemon juice in a liquid measuring cup and set aside. Add the milk and salt to the stockpot and turn the heat to medium. 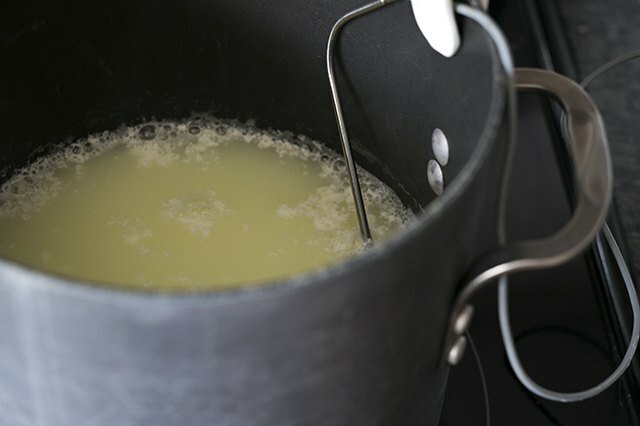 Heat the milk to 185 degrees Fahrenheit, stirring almost constantly to prevent scorching on the bottom of the pot. Once the milk reaches 185 degrees Fahrenheit, remove the pot from the heat. Slowly stir in the vinegar mixture, and then allow the mixture to sit undisturbed for 3 to 5 minutes. 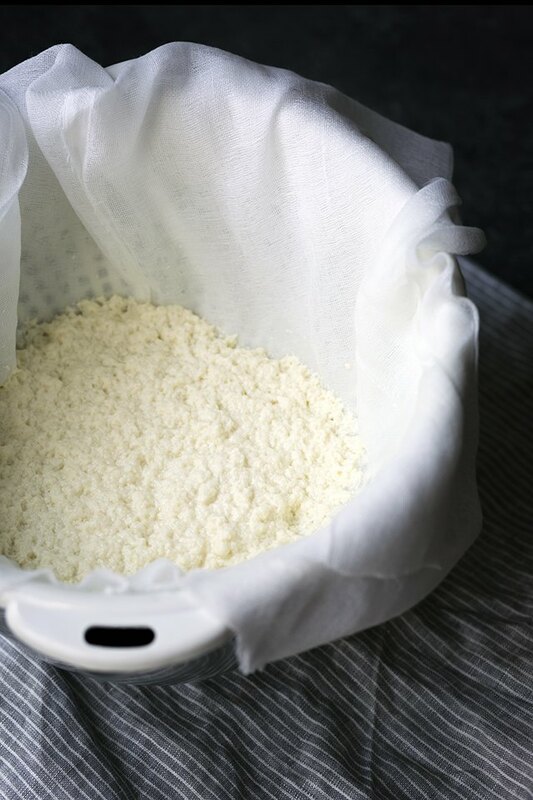 The curds will separate from the whey. Slowly pour the curds and whey through the prepared colander. Allow the whey to drain for 10 to 15 minutes. The longer the mixture drains, the thicker the ricotta will be. 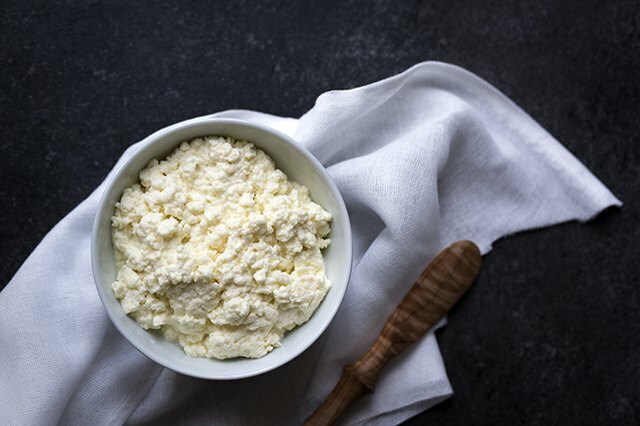 Fresh ricotta can be stored in the refrigerator in an airtight container for up to 5 days.